Hotel Resol Trinity Kanazawa is a comfortable business hotel located just south of Omicho Ichiba Market and the Musashigatsuji shopping area. 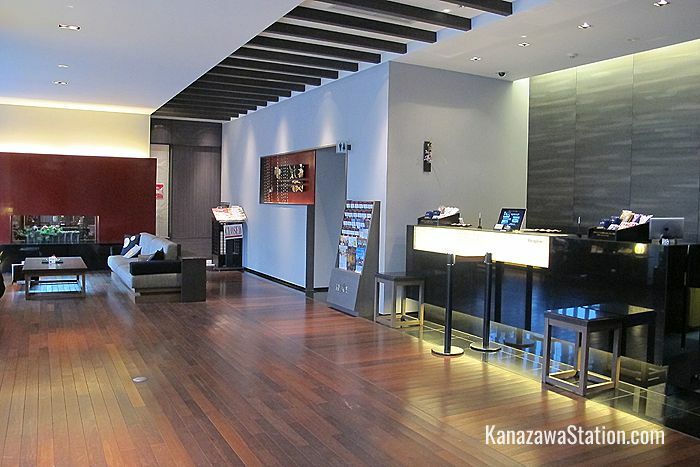 The hotel is in an excellent location being so close to Kanazawa’s commercial districts and within easy reach of Kanazawa Station and the main tourist attractions. Close by the hotel are bus stops from which you can access all parts of the city. 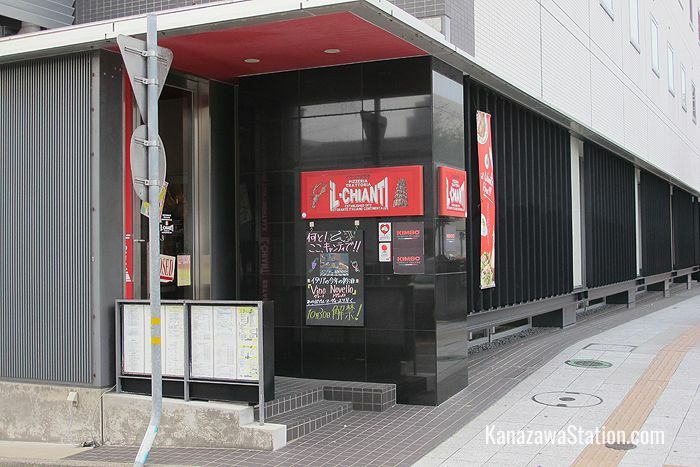 There are also a lot of dining options in the surrounding area, particularly in Omicho Ichiba and the basement of the Meitetsu M’za department store. The hotel itself is well maintained, with friendly English speaking staff, and room rates are very reasonable. This hotel is ideal for short stays whether on business or for sightseeing. Guest rooms at Hotel Resol Trinity have comfortable furnishings and stylish interior design. Standard rooms come in doubles, twins and triples, and slightly smaller economy doubles and twins are also available. There is also a “Japanese & Western style room” which has two beds and is more spacious than other twin rooms having a floor space of 32m2. All beds have pocket coil mattresses that offer your body contoured support, and warm down filled duvets on top. All rooms are equipped with a refrigerator, a TV with free satellite broadcasting, a combined air purifier and humidifier, free Wi-Fi internet access, a mobile phone charger, an electric kettle with green tea, nightwear, slippers, and a hair dryer. Bathrooms are equipped with a toilet with a washlet style bidet, a complete set of towels, toothbrushes, hairbrushes, cleansing foam, tissues, cotton swabs, shampoo, conditioner, body soap, and shaving razors. This hotel also has two special “concept floors”. Concept floor “Rei” on the 8th floor has rooms designed for the exclusive use of ladies. These rooms are equipped with Panasonic “Nano-care” hair dryers, facial steamers, Provinscia brand shampoo, conditioner, and bath gel, cleansing oils, face lotions and creams, and a selection of relaxing bath salts. Rooms on this floor come in economy or standard twins, or standard doubles. All rooms on this floor are non-smoking. Concept floor “Yu” on the 6th floor has rooms which are decorated in a traditional Kaga style and are supplied with kutani-yaki ceramics. These rooms are also supplied with luxury hair and facial products suitable for both ladies and gentlemen as well as an automated massage cushion. Rooms on this floor come in economy or standard doubles, economy or standard twins, or standard triples. All rooms on this floor are non-smoking. Breakfast is served daily in the 1st floor Italian restaurant from 7.00 to 10.00 with last entry at 9.30. The buffet style breakfast has many Japanese options but also Western style items such as sausage, bacon, scrambled eggs, yogurt, cereal, bread rolls and jam. Tea, coffee and juice are also available. Breakfast costs 1,400 yen or 1,300 yen if you book it one day in advance. The restaurant is also open for lunch and dinner. Free Wi-Fi internet access is available in all guest rooms and the lobby. This hotel has a coin laundry on both the 2nd and 5th floors and a microwave oven on the 7th floor. There is a trouser press on each floor close by the elevator. Vending machines for soft drinks are located on the 4th, 6th and 8th floors. There are also vending machines for both soft drinks and alcoholic beverages on the 3rd, 7th and 9th floors. Ice making machines are available on the 3rd, 6th, 8th and 9th floors. There is an aroma relaxation salon on the 8th floor for the exclusive use of ladies. Personal computers can be rented for 1,000 yen per night. Parking is available at the hotel for 6 cars, but a nearby associate parking lot has spaces for 660 cars. Parking is on a first-come first-served basis and costs 1000 yen per night. 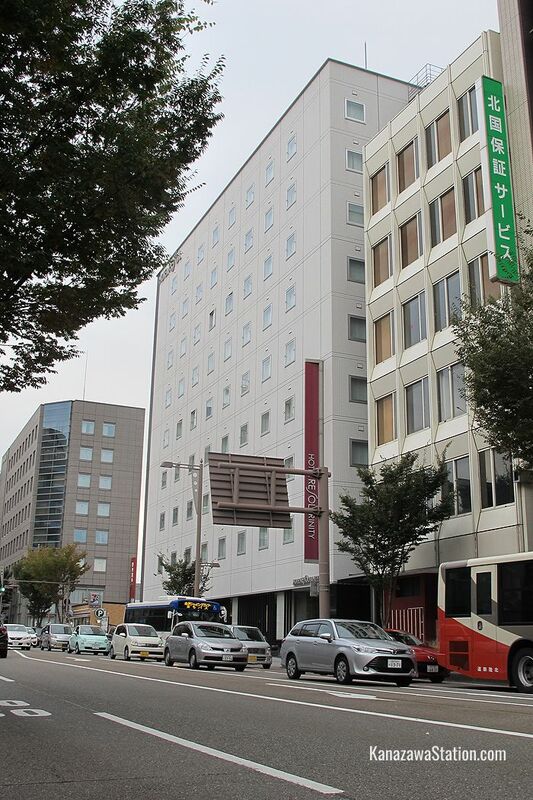 Hotel Resol Trinity is located just south of the Musashigatsuji intersection and Omicho Ichiba Market. Kanazawa Station is a 15 minute walk away or 8 minutes by bus. Both the Kanazawa Loop Bus and Kenrokuen Shuttle bus can be used to reach the station.